Gov. 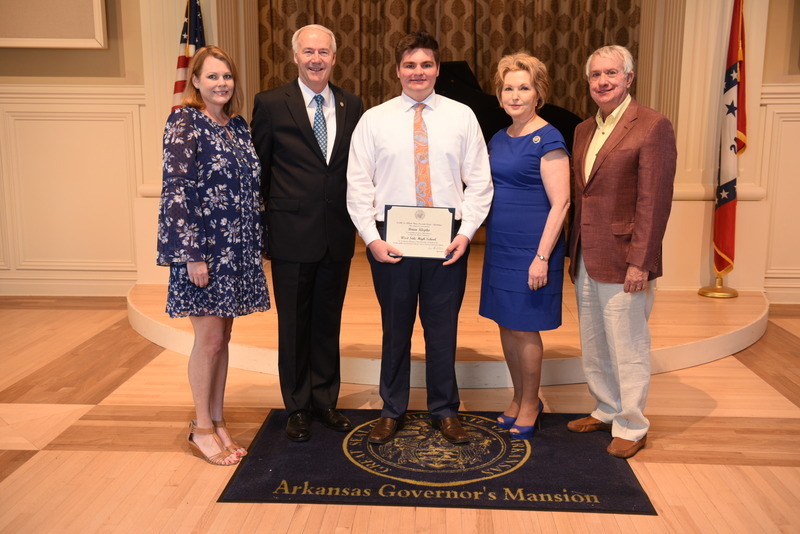 and Mrs. Asa Hutchinson welcomed seniors last week at Arkansas Governor’s Scholastic Honors Day, paying tribute to West Side’s Alex Klepko and Ciara Roberson. Held at the Governor’s Mansion, the event recognizes the top two graduates of each high school. Alex Klepko (center) and his parents, John and Amber McIntosh, with Gov. Asa and Susan Hutchinson. 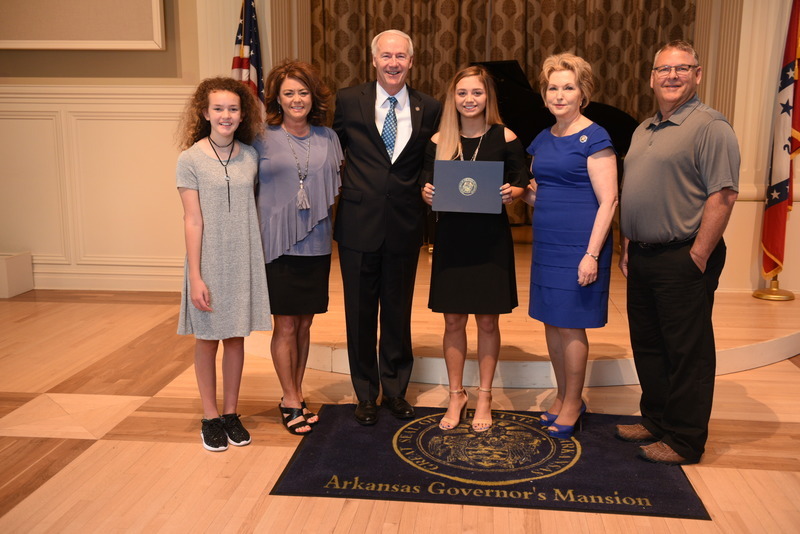 Ciara Roberson (center) and her sister Siena along with her parents, Charles and Tammy Roberson, with Gov. Asa and Susan Hutchinson.